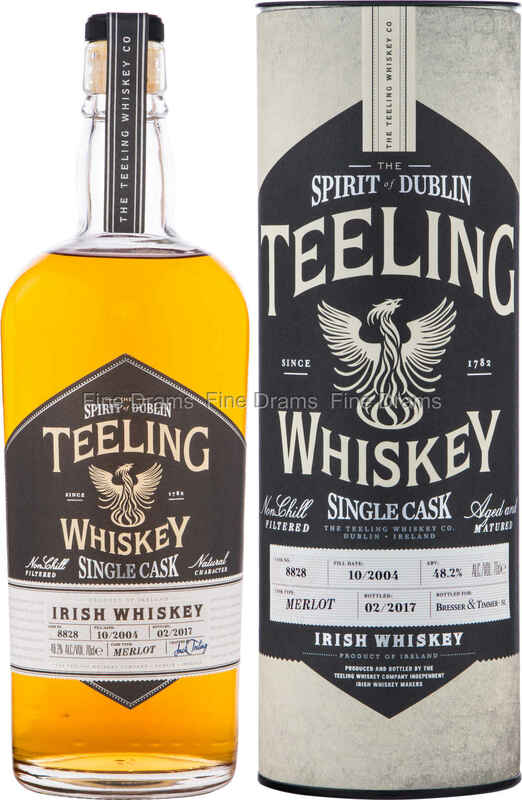 A rather interesting finish from the Irish Teeling distillery. This is as single cask bottling of 12 year old single malt whisky which was finished in a cask that previously held Merlot red wine. It was bottled at a slightly low cask strength of 48.2% without the use of chillfiltration. It’s natural colour as well.